Rahul Gandhi is set to take over as Congress chief from his mother after Diwali, sources have said, with the party now wrapping up an elaborate process of electing state chiefs, members of central bodies and the president. 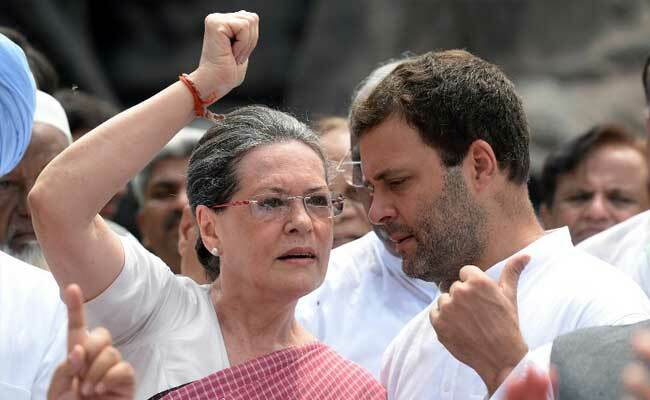 Congress president Sonia Gandhi told NDTV today that her son and number 2 Rahul Gandhi will soon take over as party chief. "You have been asking this for so many years and it's now happening," Mrs Gandhi said, smiling, pointing at Rahul Gandhi. She was speaking to NDTV after the launch of former President Pranab Mukherjee's autobiography. Rahul Gandhi, however, refused to be drawn into the subject of his takeover as Congress president and deflected questions by referring to a controversy over BJP president Amit Shah's son Jay Shah. What about Jay Shah's takeover and his huge increase in his turnover, he commented. The Congress Working Committee, the party's highest decision-making body, is expected to meet soon to decide the dates for the election of a new president. Mr Gandhi is expected to be elevated unopposed, quite like his mother who had to face an election only once in the 19 years that she led the Congress. Congress leaders say a contest is highly unlikely given how overdue most in the party consider Mr Gandhi's accession to the top post. "Only two people can be Congress president, mother or son," said senior leader Mani Shankar Aiyar earlier this week. Rahul Gandhi is also expected to name his new team, once he his formally elected, though that is likely to be delayed to after key assembly elections in Gujarat and Himachal Pradesh.